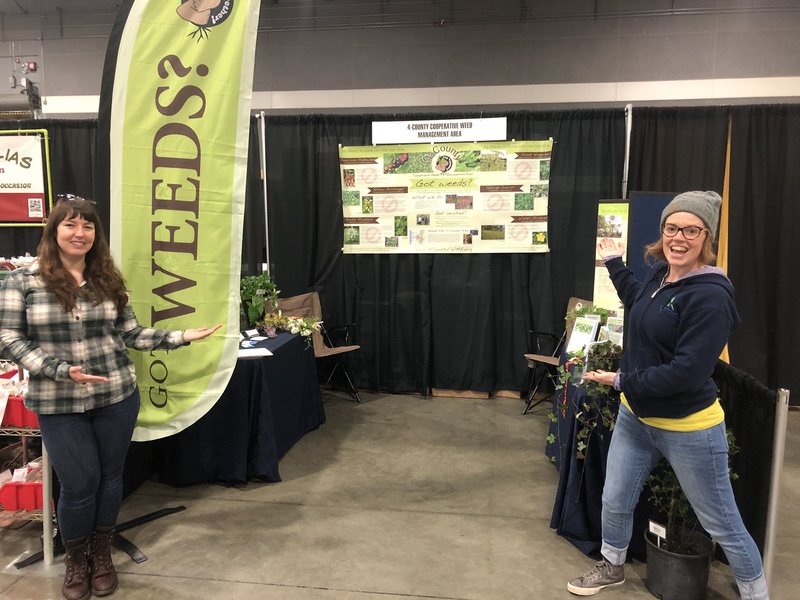 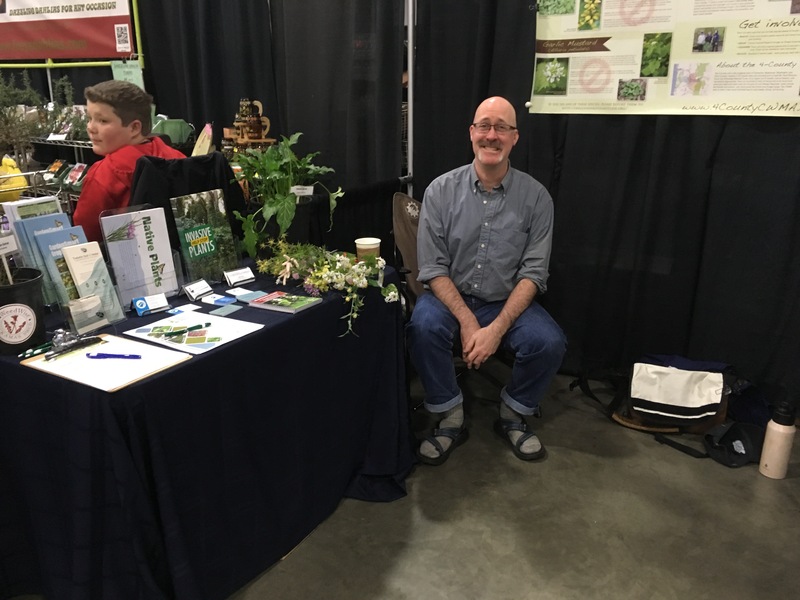 We would like to give a BIG thank you to all of our volunteers who help host our booth at the Portland Spring Home & Garden Show this year! 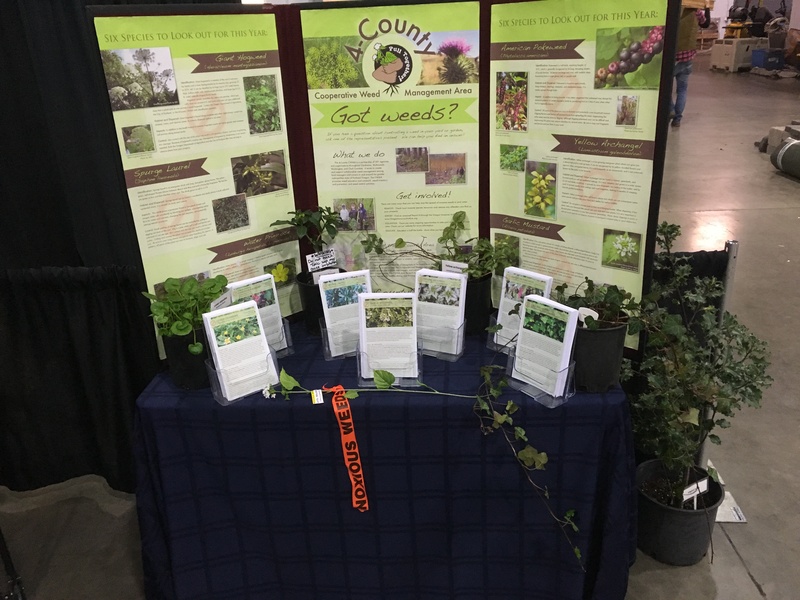 We had a total of 321 visitors over the course of the 4-day event and handed out tons of outreach material! 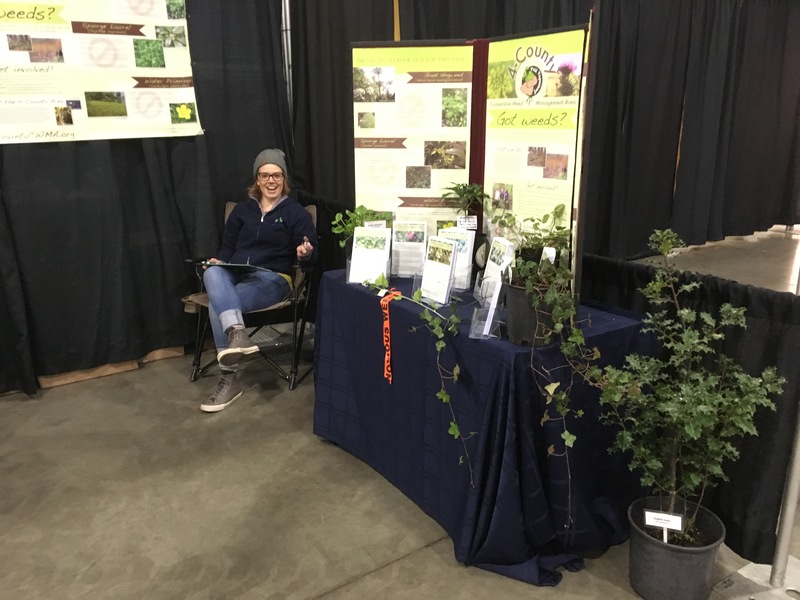 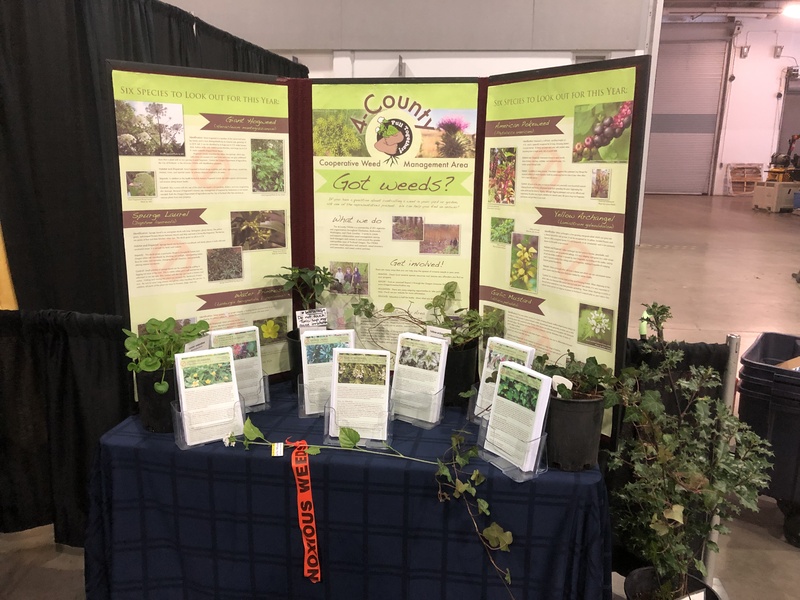 The 4-County CWMA is excited to be hosting an informational booth at this year’s Portland Spring Home & Garden Show once again! 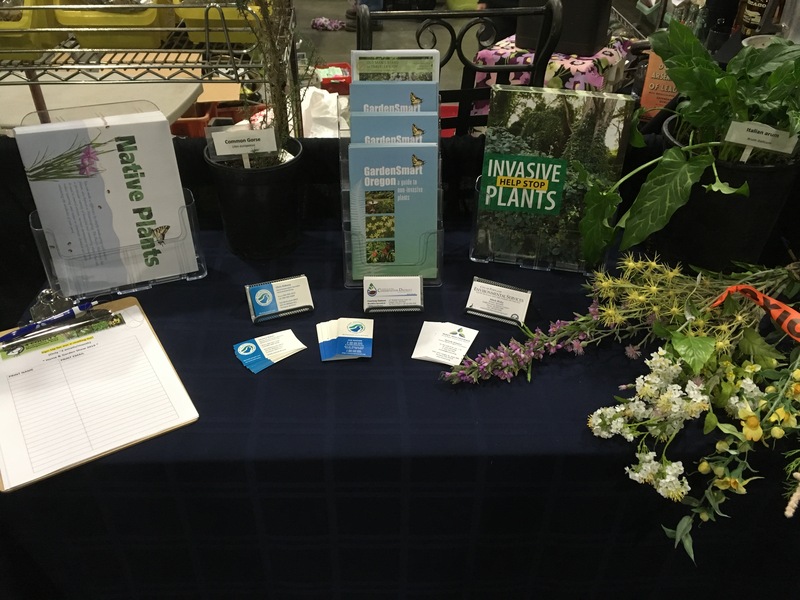 We are looking for volunteers to help spread the word on invasive plant management to local gardeners and interested public. 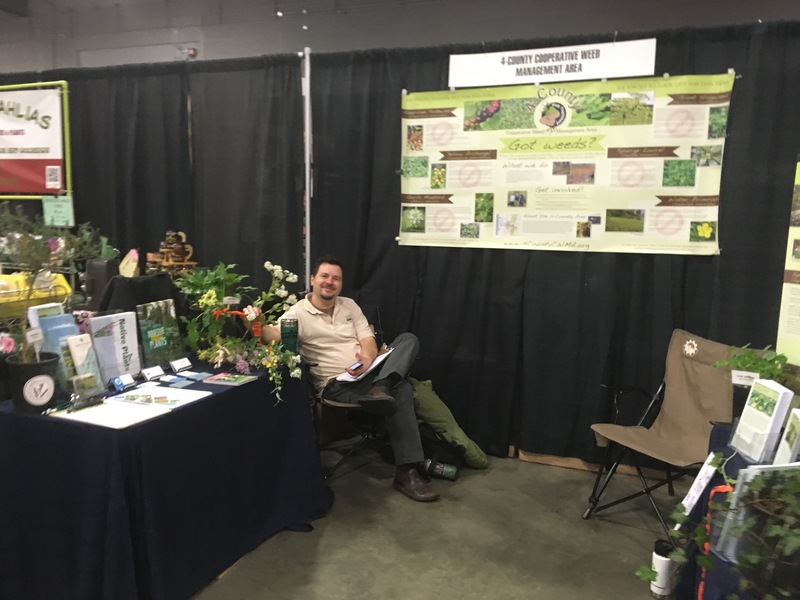 Each volunteer shift is about 3-4 hours long and include free admission to the show. 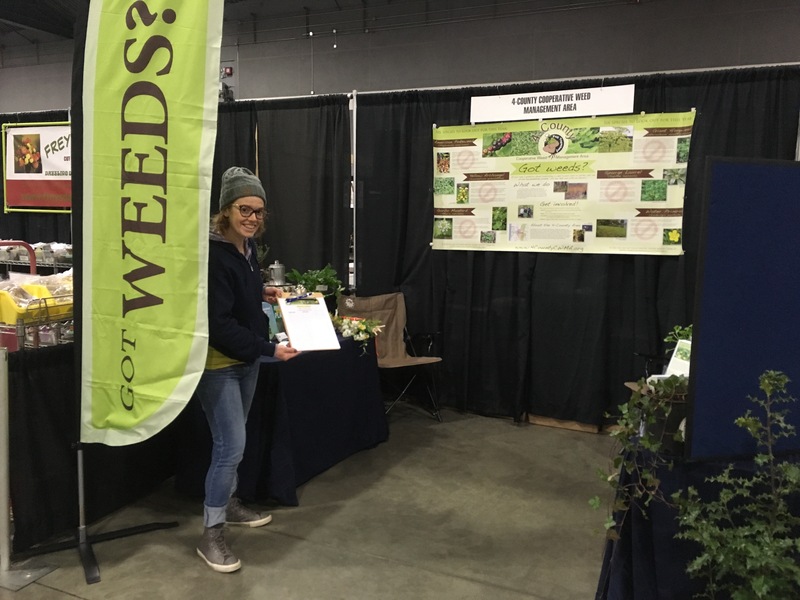 To sign up as a volunteer for the event, visit our registration page!